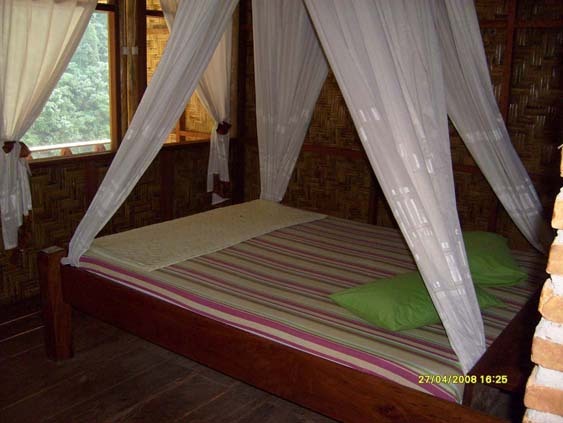 Sam's Bungalows are located at the top end of Bukit Lawang. 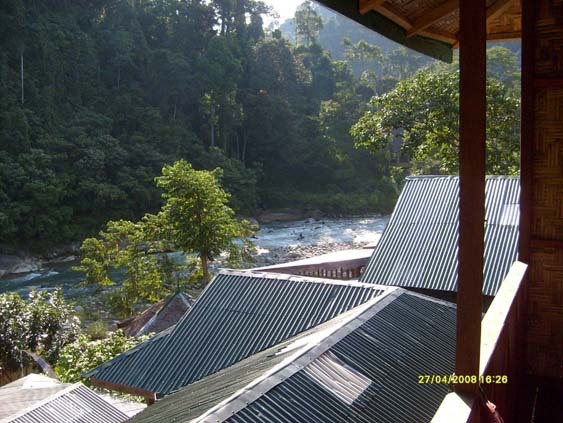 Follow the path upstream of the Bohorok River around a 15 minute walk from the start of Bukit Lawang. 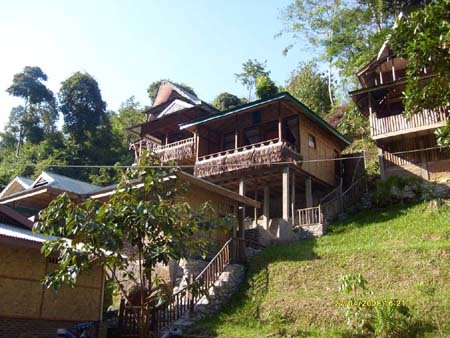 It is located right next to Jungle Inn and the river crossing across to the Bohorok Orangutan Rehabilitation centre. 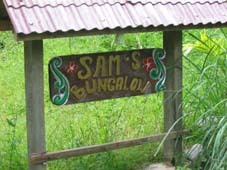 Sam's Bungalows have 5 rooms priced at 100,000Rp, 180,000Rp and 200,000Rp or 350,000Rp per night. Contact number - +62 813 7009 3597 or 0813 7009 3597. This is a mobile phone so can accept SMS or text message for reservations. 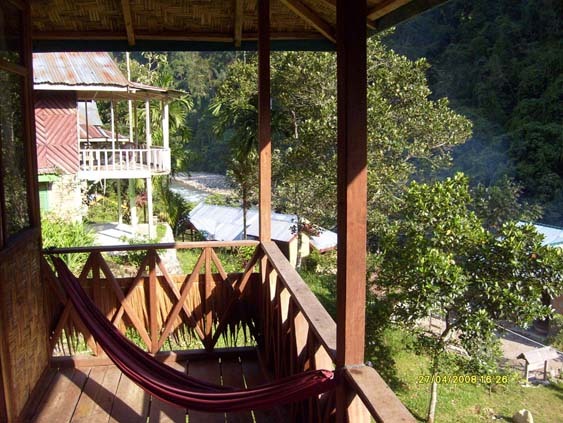 We had a really good time in Bukit Lawang and at Sam's GH. The restaurant serves great food, esp. the Gado Gado! 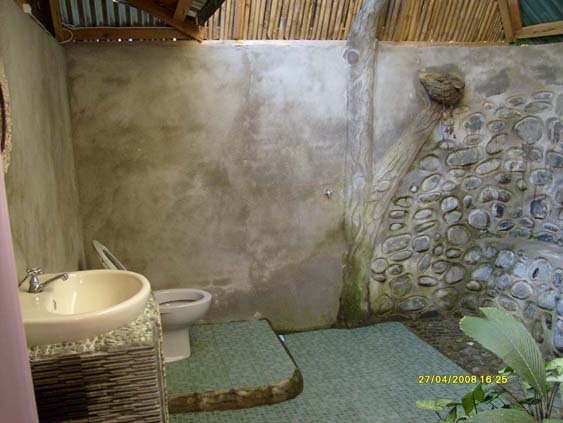 The GH is one of the closest to enter Gunung Leuser National Park. Absolute recommendation. Sam, the 27 years old owner is a very gentle and kind man who also acts as a guide. He was born in Bukit Lawang, survived the flood and has great experience. Rooms are simple but comfortable, food is good and beer is cold.